If you learn and practise a few basic skills, and keep your bike and equipment in decent condition, cycling is an efficient and safe way to travel. 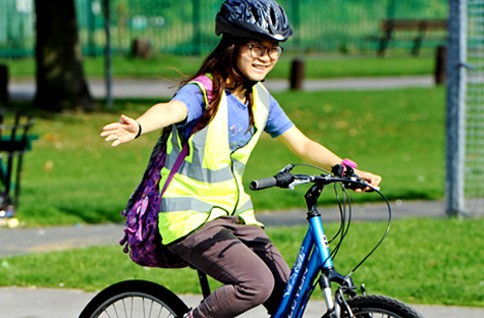 Our free cycling training sessions are great way to learn how to stay safe. 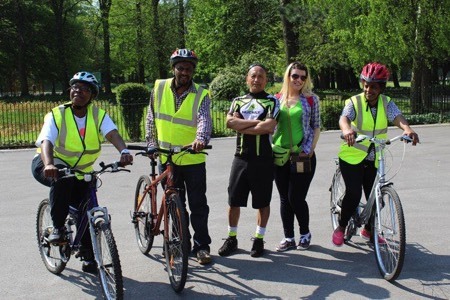 With sessions for complete beginners, people who want to start riding on the road, and for experienced cyclists too, they're a great way to learn the skills to ride with complete confidence. Plan your route. Choose quieter roads and traffic-free routes etc. 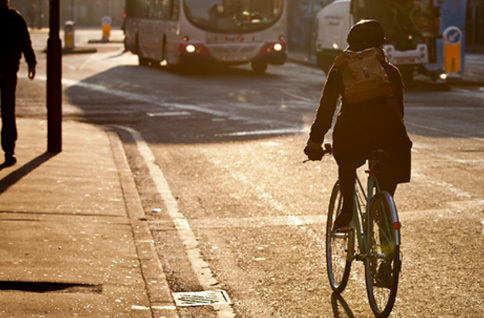 See how to plan your cycle journey. 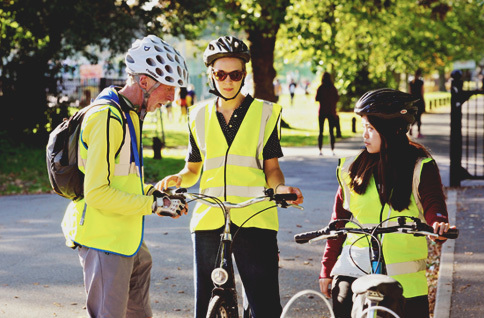 For increased visibility consider wearing light-coloured clothes, or reflective and hi-viz fabrics. Use good lights and reflectors. Ride in a prominent position on the road rather than in or near the gutter, at least one metre out from the kerb is recommended. Other road-users will need to make a proper overtaking decision, rather than just squeezing past. Wearing a helmet isn’t law, but it’s worth considering this piece of safety equipment for the journeys you make. Keep checking what’s around you. You may have seen other road-users, but have they seen you? Be ready to anticipate what others might do. Watch out for potholes: look at the road ahead and be work out how to get round problems in advance. If you’re cycling to a junction through standing traffic, do so with extreme caution: watch out for car doors opening, and especially for cars turning left across you. Never pass a large vehicle on the left whether it's stopped or moving. The Highway Code says you must have a front white light, a red back light and reflector. Your lights must flash, preferably on the fastest setting. It's good to have several lights, rather than just the minimum. Stand out and be seen. Modern bike clothes can have amazingly effective reflective elements, and it’s worth wearing neon colours, especially at dawn and dusk. If you ride with a rucksack, use a brightly coloured one. If you ride on unlit roads, use a front light that lights up the road surface rather than one that just allows you to be seen by other traffic. Don't enter a route reserved for trams, indicated by signs, changes in the road surface and road markings. Be careful not to follow a tram from the road into a tram-only area. Take care when cycling close to or crossing the tracks, especially if the rails are wet or icy. Trams are wider than the tracks they run on, so give them room. Cross the tracks at a right angle where possible – if you go at a shallow angle your wheel might go into the gap between rails. Use clear hand signals for tram drivers. Be extra careful where a track crosses the road as trams have their own traffic signals. Use toucan crossings, particularly at junctions, to avoid tram rails. 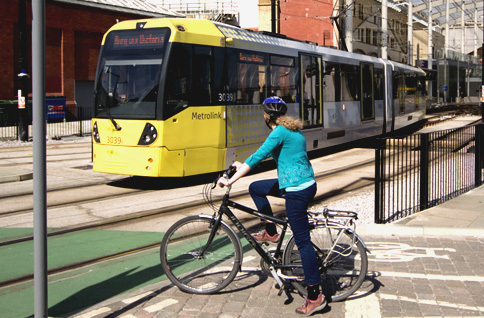 Toucans allow cyclists to navigate junctions without crossing tram lines at a difficult angle.